Adventure flights in the fixed wing aircraft will take place after the flying displays have ended. This is one of Australia’s most famous and oldest Warbirds, having been restored, registered by Pay’s and put on the Australian register in 1980. Prior to that VH-AUB was registered to the RAAF in 1947 and served for 11 years. It was painted red after 1958, and was rarely flown until it was dismantled in 1966 and transported to an outback station in Queensland. In 1978 VH-AUB was acquired by warbird legend, the late Col Pay. It became his pride and joy and restoration began. The aircraft was repainted to its original RAAF colour scheme and remains a prized possession in the Pay’s warbird fleet! The T-28 Trojan is a piston-engine military trainer that was used by the United States Air Force and Navy beginning in the 1950's. Besides being a trainer, the T-28 was employed as a counter insurgency aircraft, primarily during the Vietnam War. The word "Wirraway" is an Aboriginal word meaning "challenge". The Wirraway was a training and general purpose military aircraft manufactured in Australia, built by the Commonwealth Aircraft Company between 1939 and 1946. Whether on the ground or in the air, this aircraft is sure to draw attention wherever it goes! 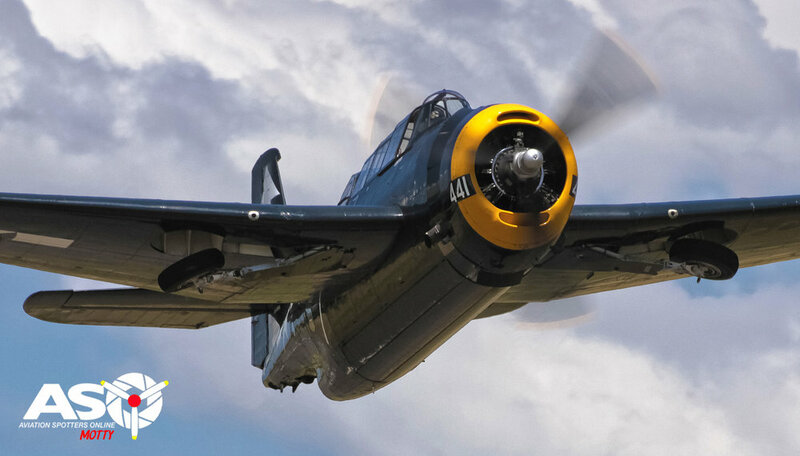 The massive 1942 Grumman Avenger was a torpedo bomber developed initially for the United States Navy and features a unique folding wing arrangement for aircraft carrier operations. The aero L-39 Albatros is a high- performance jet trainer aircraft developed in Czechoslovakia. It was designed during the 1960s as a principal training aircraft. The Albatros is the most widely used jet trainer in the world. The T6 was designed as a trainer to hone the skills of fighter pilots in WW2. So good was the T6, in this role, that it continued to serve with many armed forces around the world, long after WW2 and the last was retired from military service in 1995. The Hercules is a medium-sized tactical air-lifter which can deliver cargo to airfields with short unsurfaced runways, and airdrop cargo and paratroops by parachute. It can carry up to 128 passengers, or eight pallets of cargo and can work alongside other airlifters, including the C-27J Spartan and C-17A Globemaster III. The Yakolvlev Yak-52 is a Soviet primary training aircraft which first flew in 1976 and is powered by the distinct sounding M14P radial engine. The development of the aircraft incorporates a number of features to be found on the early postwar fighters. An 80% size replica of the iconic Spitfire built in 2010. Paul Bennet's Wolf Pitts Pro is the highest performing aerobatic biplane in the world and displays high energy, engine screaming precision aerobatics. With an astonishing 400HP engine, this biplane s capable of some unbelievably wild manoeuvres that you are unlikely to see reproduced by any other aircraft. The Rebel 300 is a Unlimited aerobatic monoplane powered by a 300hp Lycoming engine. Displayed by one of our unlimited aerobatic pilots, the display showcases the aircraft’s precision and performance that has made this design so popular at aerobatic competitions around the world. The Pitts Model 12 (aka Monster Stinker) is a large fully aerobatic biplane designed around utilising the 360hp Russian M14P radial engine and can be built from plans or purchased in kit form. This aircraft was Curtis Pitts’ last design and was completed in 1995. The SkyAces consists of 3 Pitts biplanes that perform an array of dazzling aerobatics in very close proximity. Originally powered by a 90hp Franklin engine, the SkyAces S1’s are highly modified and now utilise 220hp Lycoming IO-360 engines giving them outstanding power to weight ratios. second and in the hands of Glenn Graham, Ben Lappin or Glenn Collins(lead by Paul Bennet) these machines perform in perfect synchronisation. The SkyAces present skilful formation loops and rolls but also dynamic head to head stunts, which are guaranteed to leave you gasping in awe! 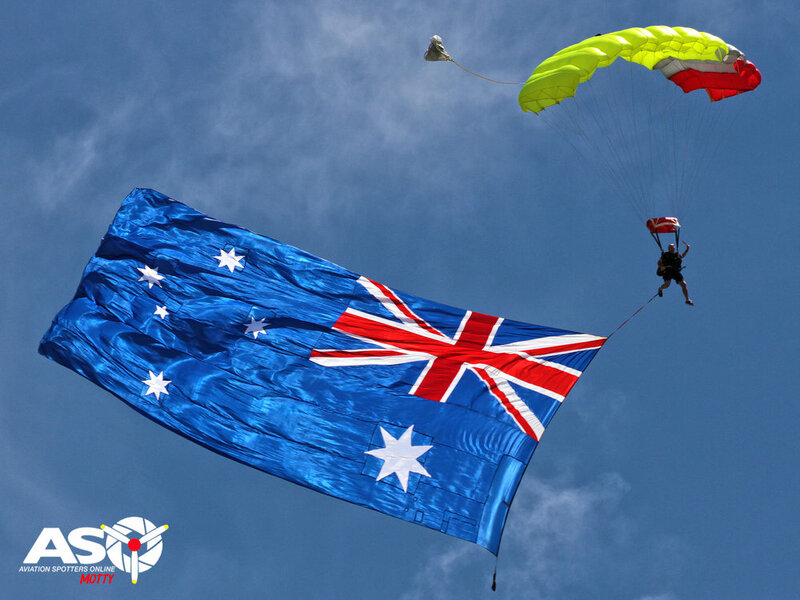 The Australian Defence forced have confirmed that they will bringing one of their hot air balloons! They will be offering tethered flights all day. Great fun for the kids! As is the nature of the event, flying displays may have to be cancelled and/or show times altered due to inclement weather or unforeseen circumstances. The organisers reserve the right to amend the program at their discretion.